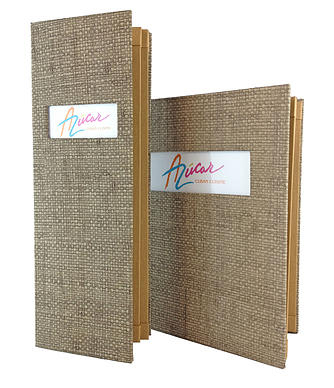 Ordering customized menus is a great branding strategy that will also give your restaurant a cultured, personal touch. Luckily, there are a wide range of online companies from which you can order customized menus. Organizations like Menu Designs feature a wide range of menu covers that can really help your name stand out and effectively advertise the excellence of all the dishes you offer. 2. Optimize Your Advertising Endeavors. 3. Invest In Your Employees. One final strategy you should implement in order to take your restaurant to a new level of success is to invest in your employees. To a great extent, your employees determine how successful your restaurant will be. This is the case for several reasons, including the fact that they function as the “face” of your business by continually interacting with your clientele. With all this in mind, it’s a good idea to do everything you can to ensure that they become the very best workers that they can be. Luckily, there are millions of ways you can put this important process in motion. One of the simplest strategies is to offer employees opportunities to attain ongoing training that optimizes and expedites their ability to serve customers. Restaurant owners who are ready to leave competitors in the dust and become industry leaders should know that thinking strategically is a great way to make it happen. Once you begin to put together an actionable plan, be sure that some of your strategies for success include ordering customized menus, optimizing your advertising menus, and investing in your employees. In so doing, you’ll likely find that your restaurant starts to grow and expand in ways you never imagined possible! This entry was posted in Food business, Restaurant and tagged food business advice, food business tip, tips in pushing your restaurant forward on September 2, 2015 by Yami.